36 out of 38 rave reviews for this 4-in-1 Boxed Set Alert! Back again with even more adrenaline-filled suspense! 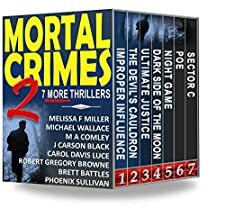 7 complete novels — each a stand-alone read, many from bestselling series — by some of the most popular thriller writers today.